Doctor Hosam el-Zembely is a writer and the founder of the Egyptian Society for Science Fiction (ESSF). He has also founded several cultural salons and public initiatives, the “Attitude Changer” being the best-known. He is the author of 3 SF novels and few short stories. His day job is as an associate Professor of Ophthalmology at the Minia University and as a part-time instructor at the American University in Cairo (AUC) in management science. This interview was conducted through a collaborative Google Document, in January 2019. Gautam Bhatia: You founded the Egyptian Society for Science Fiction in 2012, one year after the first protests at Tahrir Square and the beginning of the Egyptian Revolution. I want to begin with that. Did the events around you play a part in your decision to establish a society for science fiction in Egypt? And what was it like to begin an initiative like this in the middle of a revolution? Dr. Hosam el-Zembely: February 11, 2011 was a very significant date in my life and the lives of huge numbers of Egyptians. On that date, I was standing among thousands of protesters in front of Etihadia Palace, Heliopolis, Cairo. Mubarak used to live there in his role as president of Egypt. Most of protestors were praying Maghrib in the streets around 6 PM when we heard the announcement of Mubarak stepping down. Before 6 PM on that day, issues between the protesters or the revolutionaries, as I may say, were very heated. Many of those ordinary Egyptian people vowed not to go back home except after Mubarak stepping down. It was a matter of life and death for thousands in the streets. FREE, we felt. Today, after more than seven years, I still have that particular smell of the scent of freedom, despite the setbacks. That particular moment and that particular taste and smell were inspiring for me and many others. We wanted the Arab Spring to spread and flourish to other Arab countries. PRIDE, we felt. We had to be up to the moment and do something. University graduates among other people were cleaning the streets after the success of the revolution. Everybody wanted to do something. HOPE we felt. The Egyptian Society for Science Fiction (ESSF) is a lighthouse that stemmed out of that moment of hope. GB: In an article that she wrote for Strange Horizons in October 2017, titled “Science Fiction and the Arab Spring”, Sinead Murphy argued that after the 2011 Revolution, Egyptian speculative fiction has taken a dystopian turn, with novels such as The Queue, and Otared, and that much of it has to do with the fate of the Revolution. Is a sentiment that you agree with? HZ: It is too early to judge the fate of the Egyptian Revolution. The dust of the revolution has not settled yet, tens of thousands are in prison for political reasons; political life is literally frozen. A single ruler with a military background has been ruling since the anti-revolution in 2013 succeeded in toppling the first civilian post-revolution ruling system in Egyptian history. Writers are, or should be, the conscience of nations. Egyptian writers were split between those that were terrified and thus came to a silent or survival mode, those others that adopted the hypocritical or pragmatic mode, and a third team that fought back—some explicitly—and paid for that, like the poet Khalid Saeed who was imprisoned for writing a poem criticising the military regime. Others implicitly turned their concerns into dystopian novels. GB: Could you give some examples of science-fiction writing after the Revolution that has not taken a dystopic turn? What other themes have SF writers explored, and what are the other ways in which SF has been impacted after 2011? HZ: Many Egyptian SF writers in the ESSF took a dystopian turn after the derailing of 2011 revolution. But many others wrote non-dystopian sci-fi. For example, there is Shadows of Atlantis (2017) and its sequel Throne of Atlantis (2018) by Ammar Al-Masry, an alien invasion epic where individuals are selected and trained by a mysterious force to take on the invaders, and unravel the secret of the long lost city of Atlantis. Then there is Revolution by Remote Control (2018) by Muhammad Naguib Matter, a satirical novel about the attempt of the Mubarak regime to ignite acts of senseless violence through subliminal transmissions, only for heroic individuals to block the signals just in time for the (bloodless) January revolution. The Road to Baghdad (2018) by Muhammad Naguib Matter, is a speculative fiction novel set in a pre-war Iraq where an alternate form of nuclear technology (pioneered by Egyptians) saves the day. Plucking the Strings of the Universe (2018) by Islam Samir Abd Al-Rahman is the first part of a trilogy about a secret society trying to control fate through reviving the long lost secrets of a Muslim scientist from Islamic Spain, which could govern the laws of chance. Akwan [Universes] (2017) by Wael Abd Al-Rahman and Mahmoud Abd Al-Rahman, is a story of war between parallel dimensions, as human scientists try to unlock the gateway of the Bermuda Triangle. Irtidad [Backwards] (2016) by Muhammad Al-Naghi, is a time-travel story about an Egyptian astronaut and a scientist hurtled back to the age of the dinosaur, after encountering a wormhole threatening earth. The Disintegrating World (2015) by Dr. Ibrahim Al-Maghawri, is the story of an experiment in parapsychology and faster-than-light communication (by Egyptian scientists) that goes badly wrong. Bimaristan of the Soul (2014) by Ihab Muhammad Zaid, is a satirical slightly surreal novel about Egypt in crisis mode, with a plague affecting plant life, then animals, and eventually man. (A bimaristan is a hospital in Islamic history). 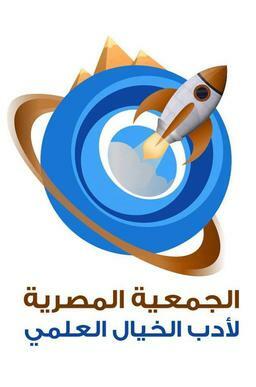 Ammar Al-Masry, Muhammad Naguib Matter, Wael and Mahmoud Abd Al-Rahman and Muhammad Ahmed Al-Naghi are all active members of the Egyptian Society for Science Fiction. 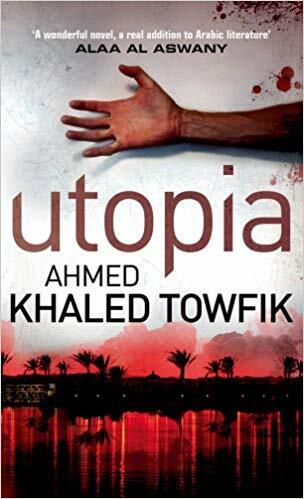 GB: Do you think that 2011 marks a rupture, in that Egyptian SF writing after the Revolution has been markedly different from the tradition of Egyptian SF writing that came before? Or do you think that, at a deeper level, there is a broad continuity? HZ: As a medical doctor, the first meaning of the word “rupture” that comes to mind is rupturing membranes just before delivery of the newborn. “Rupture” comes with blood, sweat, and screams just before birth. I had the chance to witness and participate in both physiological pre-birth rupture and the rare social rupture: “the revolutionary” one. That meaning is surprisingly accurate in describing the condition of Egyptian SF writing post 2011. A new generation of revolutionaries had the chance to experience a “revolution”. The 2011 revolution was basically on the psychic level of the Egyptian people. Many things have been broken, and “fear” is the single most important idol that was broken. Among the young millions who participated, there are hundreds of them who are now SF writers. They are the “newborn”. I am also concerned about the wellbeing of the newborn. Timing is very important, and care as well. Prematurely ruptured membranes may be fatal. Postmature delivery may also be fatal. In our condition “rupture” came some time between very and too late. Here comes care; all newborns need special care. You need to nurture them with care and love. Nabil Farouk and Ahmed Khaled Tawfik were the “seeders” who, with a simple attractive message, infiltrated the broad base of the Egyptian readers, and created thousands of potential SF writers who certainly need “care”. Here comes the Egyptian Society of Science Fiction, the “nurturer”. The job is pretty tough; the culture is unfriendly in general to SF, and the mainstream media is still not autonomous (it is prescriptively led by the government). 0% is the percentage of attention and the level of prioritization given to SF by the government in our country. GB: Could you talk about some of the “nurturing” work that the Egyptian Society of Science Fiction does? With respect to the cultural aspect, a monthly sci-fi salon is held on the last Friday of every month. The evening has an introductory event in the form of “Space News”, and a main event on one of the sci-fi novels written—usually—by one of the Egyptian sci-fi writers. Two critique-studies are prepared and presented on that novel. The evening wraps up with an open discussion with attendants. Lastly, we are preparing a book on Egyptian-Arab-Muslim sci-fi. I believe it will be a huge reference book, with about 55 contributors world-wide. The book will be published in English. GB: Last week, ArabLit published a review of your 2001 novel, America 2030, which is presently in the process of being translated. So I guess a good way to conclude this interview is by asking you about your own writing process. Who are the authors who have exerted a significant influence upon your own work in the genre? And what do you see yourself as doing when you write SF—the review mentions, for example, that your book is meant to be an “antidote” to Huntington’s Clash of Civilisations. Do you, for instance, see SF as performing a political role? HZ: Back in the early 80’s, I spent a couple of years of my life in London, studying at the William Penn Secondary School. The sci-fi culture was flourishing and booming. I enjoyed the early beginning of Star Wars and the birth of Space Invaders video games. I used to buy Marvel comics that mixed sci-fi and fantasy. As soon as I returned back home, my father introduced me to Mostafa Mahmoud and Nehad Sherif. Their visit was a landmark in my life and their writings imprinted deep in my soul. The writing process usually starts with a moment of inspiration. For instance, my novel The First Dialogue with a Sane Virus was triggered by my doctorate degree research with Professor Herbert Kaufman in Louisiana State University in the year 2001, on the herpes virus. His research team used to conduct weekly research meeting, discussing several ideas to get rid of the Herpes virus. These meetings were inspiring, and the virus was so cunning. To clash or to dialogue ... the eternal question. The Evil is the other one, not definitely me. Evil geographically teleports with the rotation of the wheel of history. Evil is strong and so is good, though both have different tools. Life is tricky: no one is branded evil forever and no one is guaranteed good forever. Civilisations clash, that is a fact. I believe “clash” evolves to competition and then dialogue and collaboration if the status quo is preserved. Humanity may be futuristically unified by a huge threat, a threat to the very existence of mankind. SF is literature, literature is life. Politics is life as well. Politics implicitly woven within the fabric of SF is much more thought-provoking. We could not help expressing a unique historical moment to our nation, the January 25 revolution. The dreams of a repressed, oppressed, and suppressed society finally had a chance to surface and be perceived. So, we wrote and literally dreamt of the future, a future that is sometimes elegant and sometimes windy, dusty, and dark. My short story ‘The Parallel Universes’ is an example. SF as literature and politics are turbulent. This is what we are, exactly, experiencing in our countries... turbulent times. Doctor Hosam el-Zembely is a writer and the founder of the Egyptian Society for Science Fiction (ESSF). He has also founded several cultural salons and public initiatives, the “Attitude Changer” being the best-known. He is the author of 3 SF novels and few short stories. 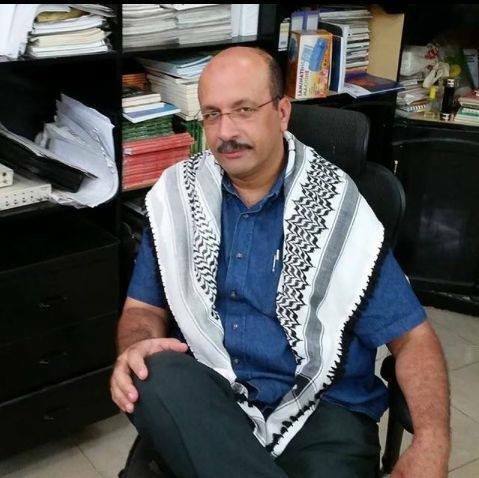 His day job is as an associate Professor of Ophthalmology at the Minia University and a part-time instructor at the American University in Cairo (AUC) in management science.